Inspired by how well the Angel pic went, I thought I'd have a go at something in red, my favourite colour (represented by the Ruby in Ruby Patch!). 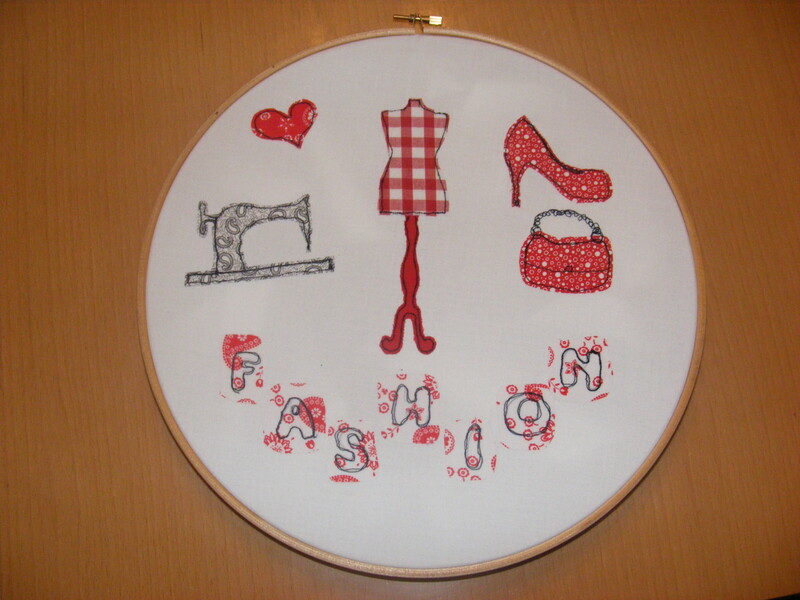 Again, the design was influenced by my eldest daughter's interest in all things fashion. I am quite pleased with the result but may have to put more emphasis on the lettering as it doesn't stand out as much as I would like. This project has been my first attempt at landscape art with the sewing machine. 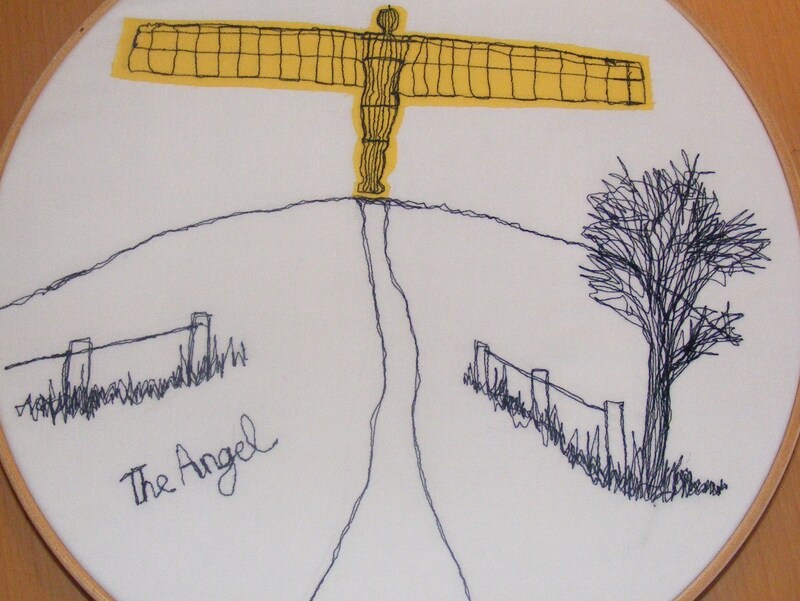 I have mentioned before that the idea of a collection of items featuring North East images is something that I am interested in putting together. 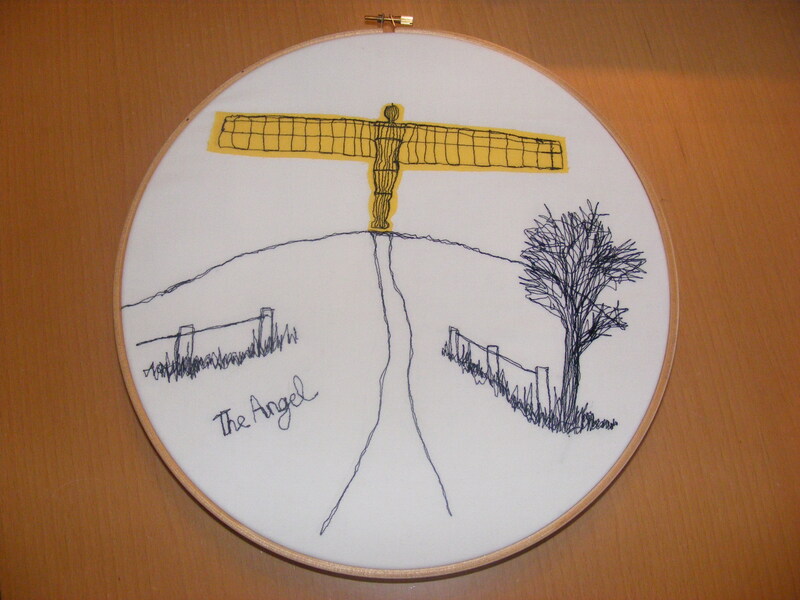 This view of the Angel of the North has quite a lot of 'art' to it rather than just applique pieces. At first the Angel was going to be central to the picture but I was at a loss as to what else to add to the scene. I decided a more pleasing composition was to move it to the top of the frame and add the path, fence and grass in the foreground. This still looked a little plain, so the tree appeared on the right and the title on the left to finish things off. Today's first project was a request from my eldest daughter for something for her room. 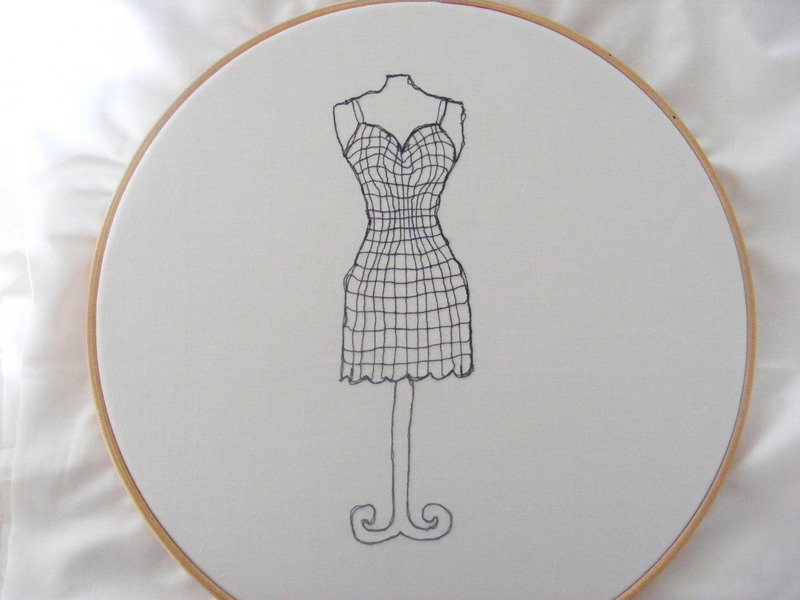 I decided to try a free motion embroidery picture which will be framed in a hoop. 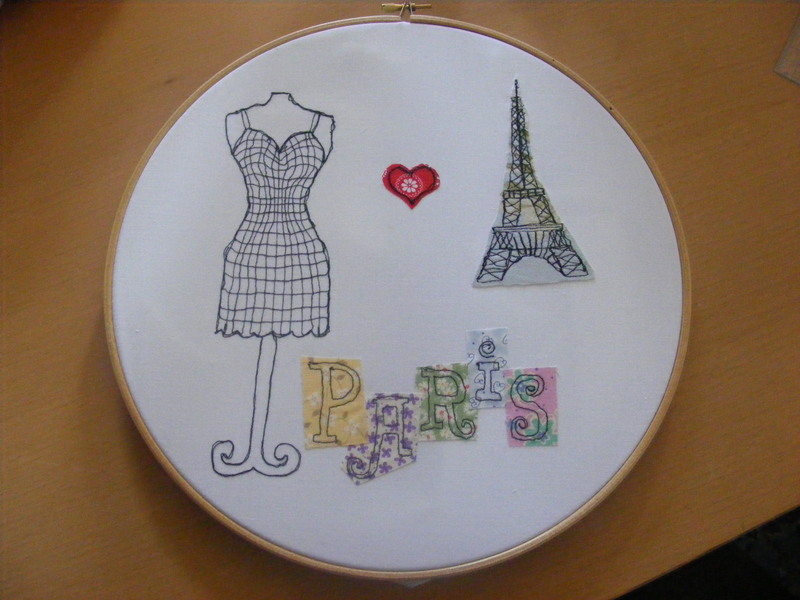 Paris and fashion are her favourite things so I thought a combination of the two would be good. The wording was stencilled and finished off with a heart. 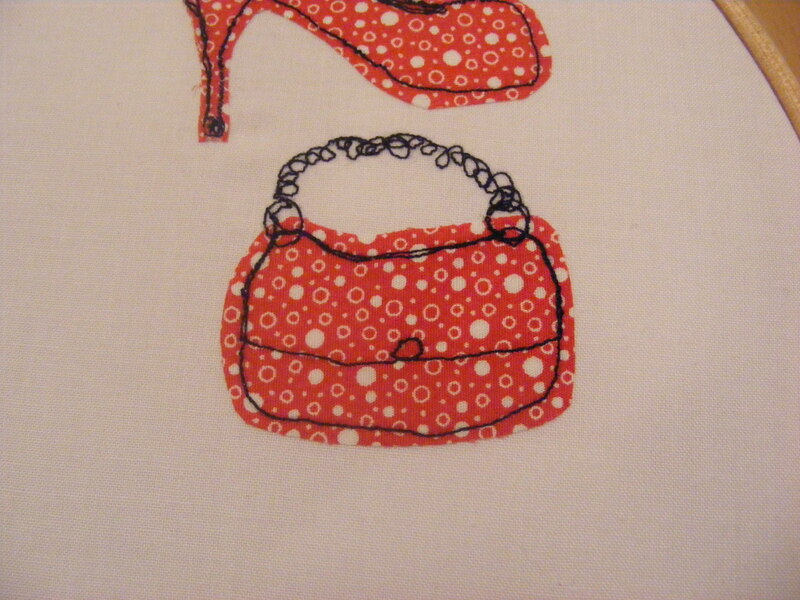 All in all, the project was really pleasureable to do and the design too much longer than the actual sewing. 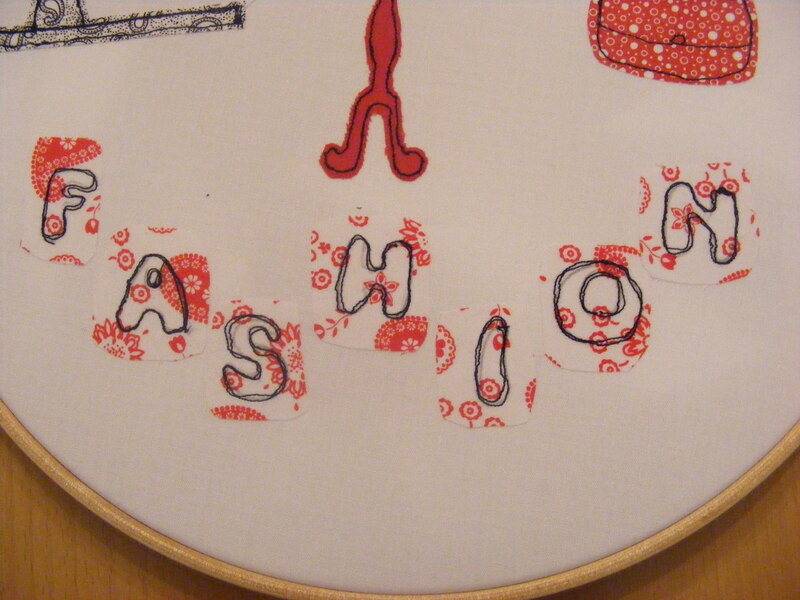 This is my first attempt at free motion embroidery combined with applique. 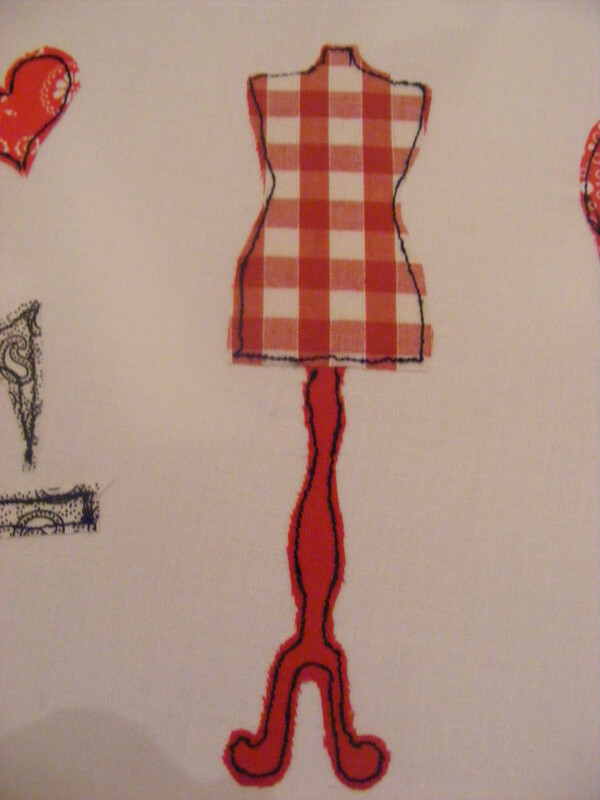 Being mainly a patchwork kind of girl in the past, I was starting to resent the time it took for my projects to be completed. Also, I was spending more time cutting the fabric than actually sewing. 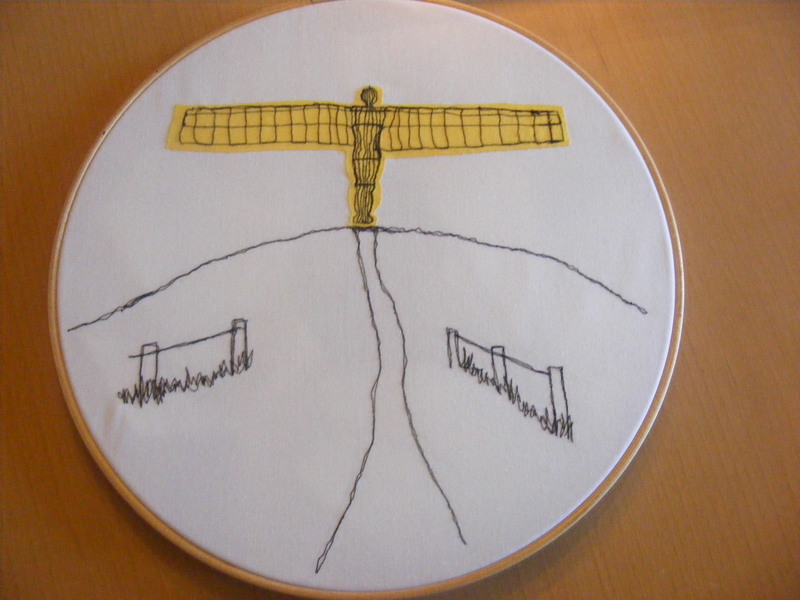 Today I have been experimenting with a design for my North East images collection. 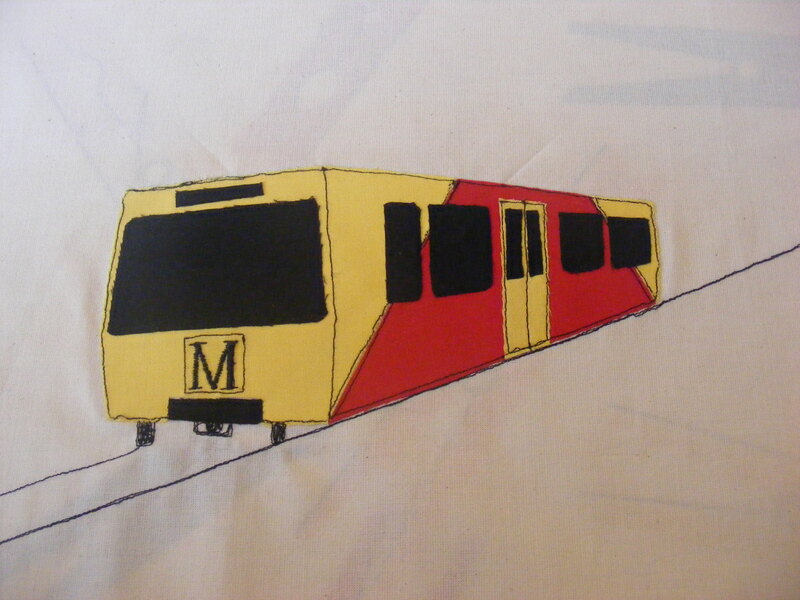 The plan is to produce a collection of cushions featuring landmarks and images that are unique to this area. Whether they will sell is unknown but I think they will be different from anything I can find for sale. 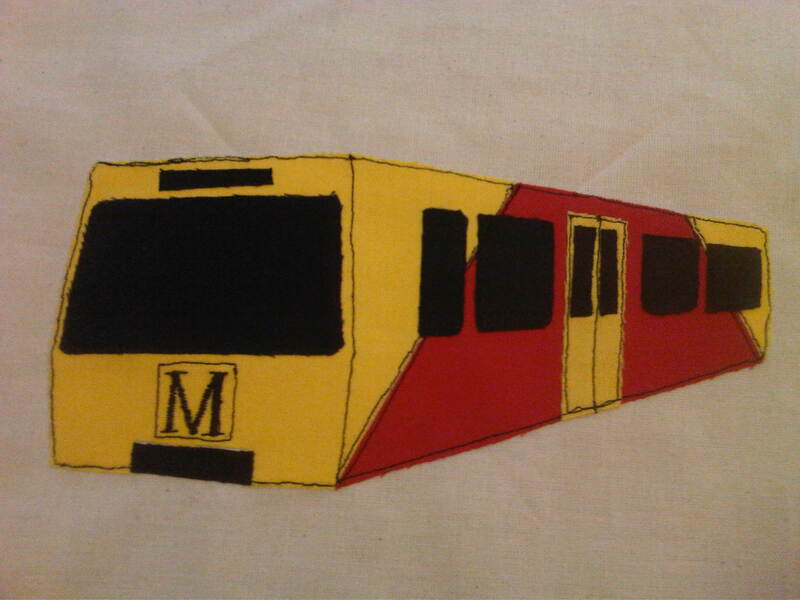 The first design is of a Tyne and Wear Metro train. Not the prettiest of images, but instantly identifiable with the north east. I sketched the design last night and had a first attempt today. 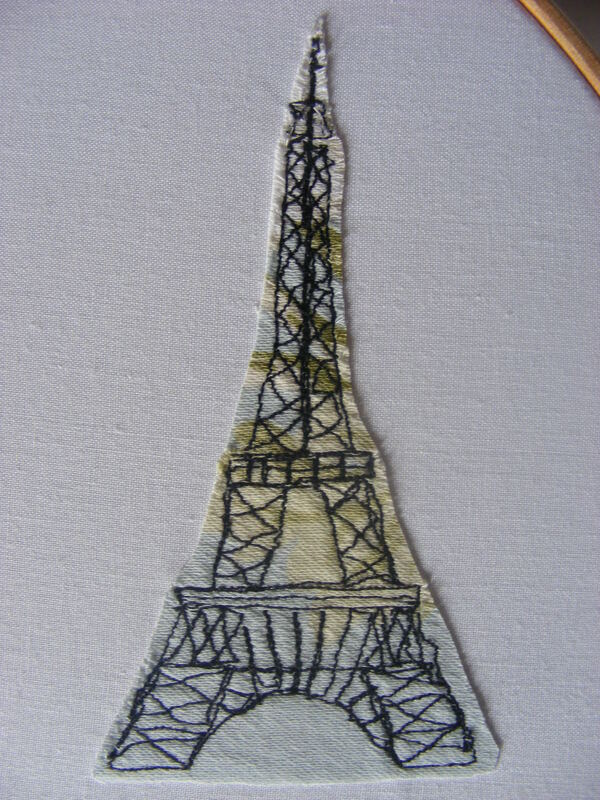 I have done the applique and outlined it in free motion embroidery. 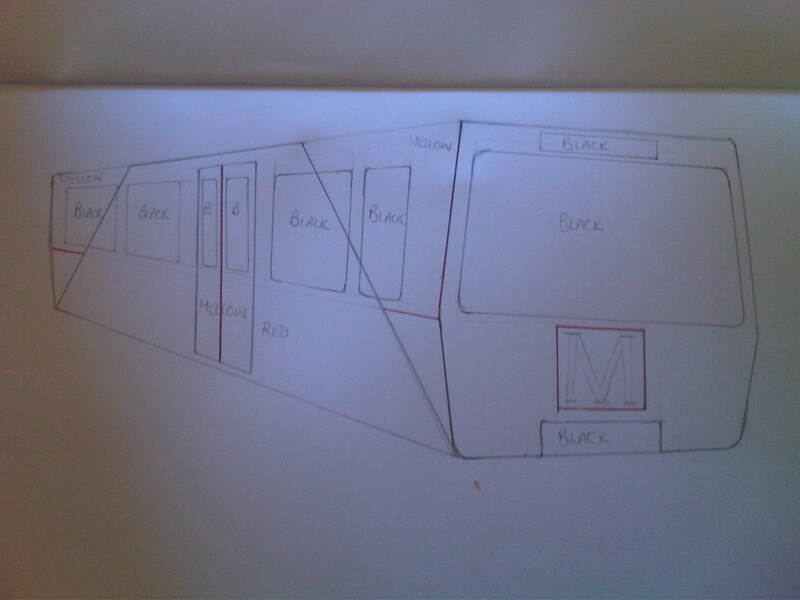 I am currently undecided whether to add a platform or rails. Might have a bit of a play and see how it will look tomorrow. Well, I decided to add a hint of a platform and some rails just to give a bit of perspective. 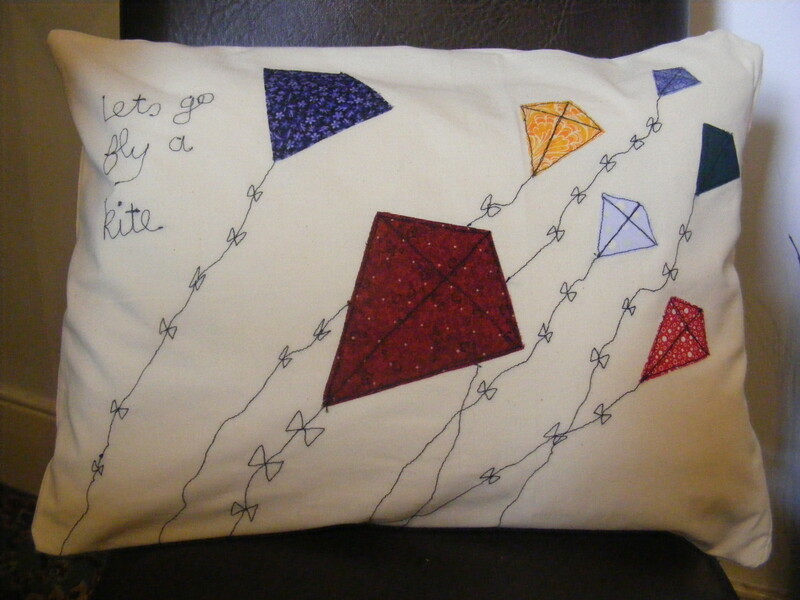 Just need to make up the cushion cover now.